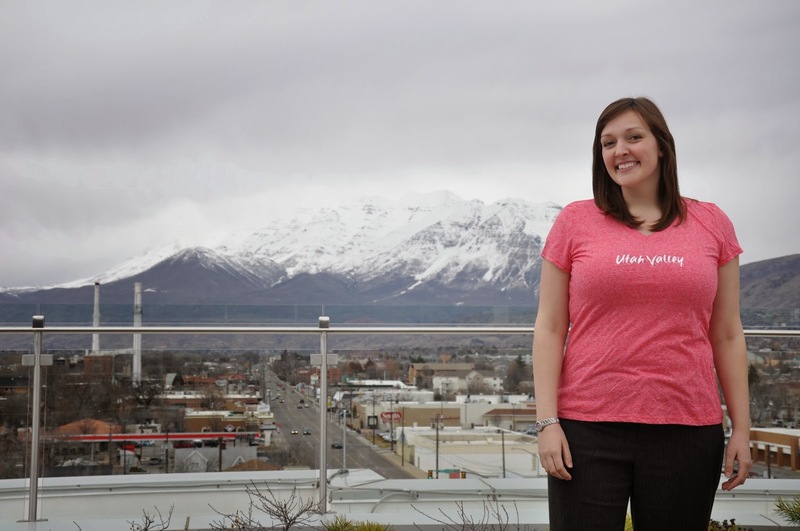 Nestled in the heart of Downtown Provo lies one of Utah Valley’s best souvenir gift shops. 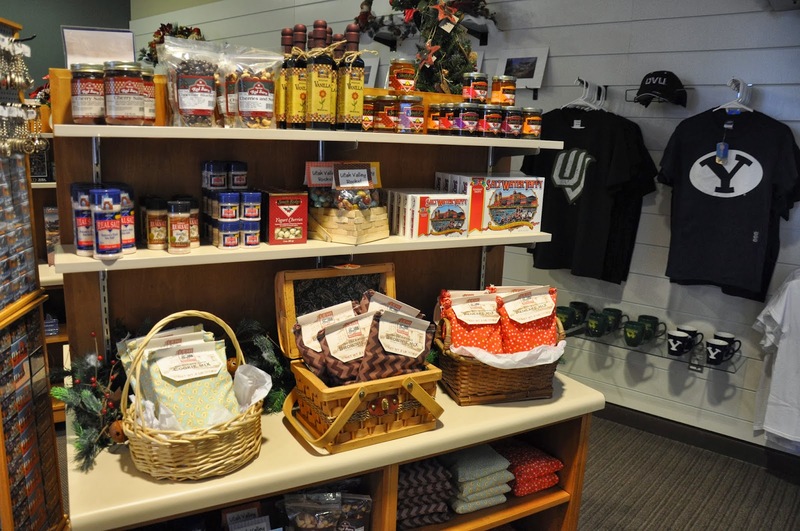 Inside of the Convention Center, on the corner of Freedom Boulevard and Center Street, the Utah Valley Convention and Visitors Bureau provides a cute, quaint little gift shop featuring some of the best souvenir items Utah Valley has to offer. Foodies will love the opportunity to try delectable items that are uniquely Utah. From Lehi Roller Mills, and REAL Salt Water Taffy, to Rowley’s Red Barn jellies, nuts and dried fruits and Real Mexican Vanilla. We are sure to have something to please every taste palette. If you’re like me, you like to WEAR your souvenirs. 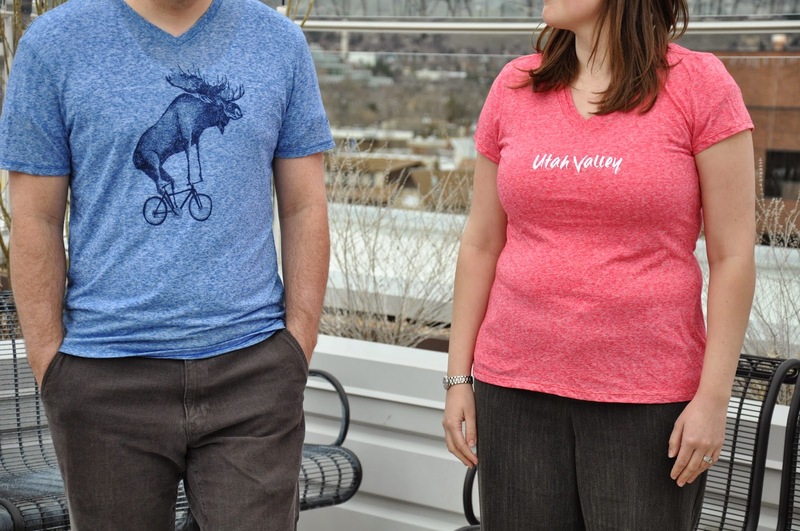 Experience a rush of the memories made on your trip to Utah Valley flow through you each time you put on your sweet “Moose riding a bike” t-shirt or local collegiate sweatshirt or as you adorn your neck and ears with our delightful jewelry by our Utah Valley local, Jessica Bolda. Add a visual, constant reminder of your Utah Valley vacation to your home with a beautiful matted photograph by our extremely talented local photographer, Willie Holdman. Or choose one of his awe inspiring coffee table books, with dozens of magnificent photographs taken all over the state of Utah. And for all of you who love shot glasses, magnets, mugs and books, we have a wide variety of those to go around as well. 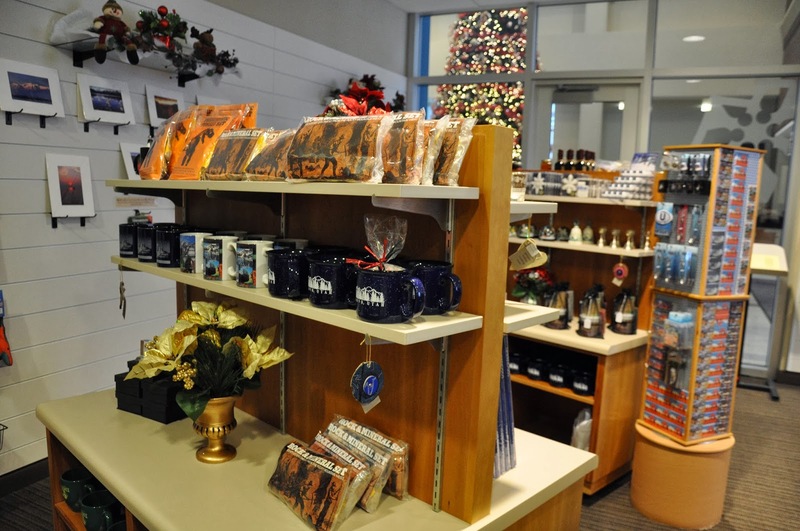 So whether you are a visitor to our beautiful Utah Valley or a long time resident, the Utah Valley Convention and Visitors Bureau Gift Shop is sure to have just the right item you are looking for.